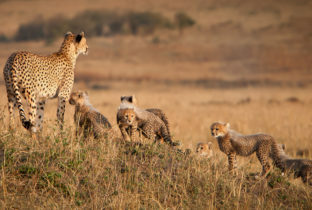 The African Travel Specialists created our perfect African family holiday. We enjoyed the combination and sequence of camps within Botswana, the Masai Mara and Victoria Falls. On Safari we saw all that we wanted to and more (except the Rhino). In particular, amazing Wildebeest crossing was incredible to see. Although seeing the cats in action multiple times was also great. So thank you for a meticulously planned and truly fabulous African Family holiday.